Cultural Anthropology research papers examine a subset of the larger discipline of anthropology that focuses on cultural variation among humans, noting that human beings acquire culture through the learning processes of enculturation and socialization. Cultural anthropology research papers are custom written at Paper Masters to focus on any aspect of anthropology you need. A societies culture revolves around people and anthropological evidence reveals a tremendous amount of information. Have your project explicated by professional anthropoloy writers at Paper Masters. 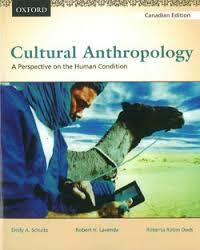 Cultural anthropology is a subset of the larger discipline of anthropology, the study of humanity. Franz Boas (1858-1942) is considered to be the founder of cultural anthropology. Born in Germany, Boas immigrated to the United States and became a professor of anthropology at Columbia University. Among Boas’ students were Margaret Mead and Zora Neale Hurston. Boas rejected the notion that all societies move through the same evolutionary stages, a theory that put Western Europe at the pinnacle of human achievement. Boas argued that each culture needed to be studied on its own merits. One of the main tools of cultural anthropology is the ethnology. The anthropologist becomes a participant observer of a culture, immersing him or herself in the culture in order to gain intimate understanding of the culture on its own terms. Margaret Mead became famous for her ethnography of Samoa. Ethnography, as an expression of cultural anthropology, often narrow research into a few, or even one case within a culture. Detailed and complex descriptions of the culture and people emerge, with data collected through interviews, cultural artifacts, and the day-to-day living within the culture. Cultural anthropology revolves around the social order or society. Social order involves the manner in which laws and rules are applied in the service of regulation and control. Various agencies and institutions are intimately involved in the concept of social order, including religion and government. In primitive societies and industrial giants as well, some construction is in evidence that reflects cultural concerns, beliefs, and values. Order enhances predictability, which is a desirable element with regard to both cognitive and emotional comfort. Though an occasional “surprise” might be appealing to most of us, we ordinarily prefer the ordinary – the usual, the expected. Thus, one function of order is to enable members of the social group to anticipate future events and plan for them based on past experiences. Additionally, order is important to society because it enhances the probability that both individual and group needs will be met. If one contrasts order with chaos, it is evident that the former is more likely to facilitate goal attainment than the latter. However democratic and individualistic a society may be, the need for concerted effort is acknowledged. Within institutions and agencies and other groups, individuals are arrangement hierarchically with regard to the right to create and enforce policy. When a group of individuals is working collaboratively, the need for delineation of the statuses of various participants is critical to the success of the endeavor. Sometimes decisions must be made rapidly with no time available for consultation with each group member. Thus, the concepts of “boss” and “not-boss” are required at minimum. Typically, the hierarchy is considerably more complex. But what happens if an individual is aware of the social order but refuses to honor it? He or she is likely to come into contact with control agencies. In some cultures, the disapproval of the group or castigation by one’s peers is sufficient. In others, there is considerably greater structure and formality to the process. Religion plays an important role in the control mechanism. Actually, its role is unique in that it serves a preventative function as well as a punitive one. Development of conscience or its equivalent made result in restraint before the fact, before the act. Thus, social order is important because it works for us most of the time. When there is social unrest, distress is predictable because our ability to predict and control our experiences is in jeopardy. Linguistic Anthropology - Linguistic anthropology is the study of how language is used on a daily basis as well as the influence it has on everyday life. Deculturalization - Deculturalization in America is a complicated and incendiary issue. Ancient Civilizations - Ancient Civilizations research papers examine when humans started making permanent settlements which brought on the agricultural revolution. Cultural Diversity - Cultural Diversity Research Papers look at a preview of an order placed on counseling, educational and psychological testing of Hispanic and Latino population. Zora Hurston - Zora Hurston Research Papers look at her life and how she became the best black woman writer in America. Their Eyes Were Watching God - In Zora Neale Hurston’s book, “Their Eyes Were Watching God” she conveys the life of an African woman named Janie Crawford who comes home to her hometown of Eatonville, Florida. Their Eyes Were Watching God by Hurston - Their Eyes Were Watching God by Zora Neale Hurston is the story of Janie, who flees from her husband to marry Jody, a businessman who does no better for Janie than her first husband but does leave her a wealthy widow at age forty. A Cultural Analysis of Brazil examines the education, political system, healthcare system, and living conditions of Brazil. Cultures of India - Due to its extremely diverse nature, India is believed to be one of the more cultured countries. This is because it is rich in customs and heritage. Culture in Saudi Arabia- Culture in Saudi Arabia Research Paper delves into how families were the most important, and why. Culture in Portugal- Culture in Portugal Research Paper delves into the different museums and architecture that it has. Cultures of Oceania - Cultures in Oceania are a reflection of native groups including Australian Aboriginals, Polynesians, Melanesians, and Micronesians. Cultures of South America - From early settlement, the cultures of South America have been diverse and complex as a result of isolation of various regions, the mobility of generations of people within their environments, such as in the woodlands or in the savanna, and the amount of people which allowed them to maintain their numbers. Ethnographic research is a type of research paper which is a descriptive study of society, and is typically used in cultural anthropology. Cultural Analysis research papers examine a method of qualitative research employed in the social sciences, especially the disciplines of ethnography and anthropology. Cultural Pluralism, by definition, refers to a situation whereby small minority groups inside a larger society are able to maintain separate and unique cultural identities. Paper Masters writes custom research papers on Cultural Anthropology and examine a subset of the larger discipline of anthropology that focuses on cultural variation among humans, noting that human beings acquire culture through the learning processes of enculturation and socialization.